Create a realistic spending plan – and stick to it. Remember that the holidays are more than just gifts. Costs for decorations, meals, baking and postage to mail packages should all be factored in. Plus, there are gas and airfare costs to visit family and friends. Keep those in mind throughout the year as you save up. 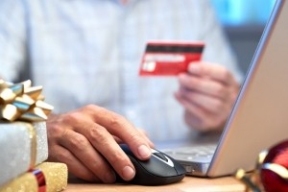 Only use credit cards for online purchases. 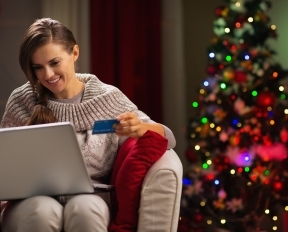 If you have to use a credit card, save it for online purchases. Credit cards do offer some extra fraud protection. Just be careful not to overspend. Look for “found money.” See if you have reward points from hotel stays or from your credit or debit cards. These can often be cashed in for merchandise purchases or gift cards to help with holiday spending.